Castle Resorts & Hotels welcomes you to our Hawaii. Five islands of incredible beauty where the spirit of aloha reigns supreme. In Hawaii our resorts and hotels are located on Kauai, Molokai, Oahu, Maui and Hawaii (the Big Island). We can accommodate you on the beach, down town, near the airport or on sleepy Molokai, we will find the perfect place for your vacation or honeymoon. We can put you right on the beach in hotel accommodations from the most luxurious condominium to simple hotel rooms, and all varieties in between to suit your budget. 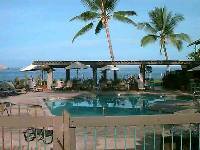 We can offer accommodation on the islands of Hawaii (Big Island), Maui, Oahu, and Kauai.